Eudia pavonia josephinae Schawerda, , Verh. zool.-bot. Ver. Wien 73: (87). 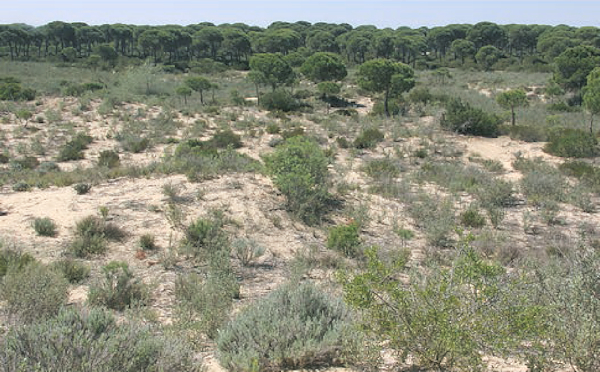 Type locality: Chiclana de la Frontera, Andalucia, southern Spain. Holarctic; western Palaearctic region. Pleistocene refuge: Monocentric -- Atlantomediterranean subsection of the Mediterranean refuge. Wingspan (males) 40--65mm, (females) 48--90mm. 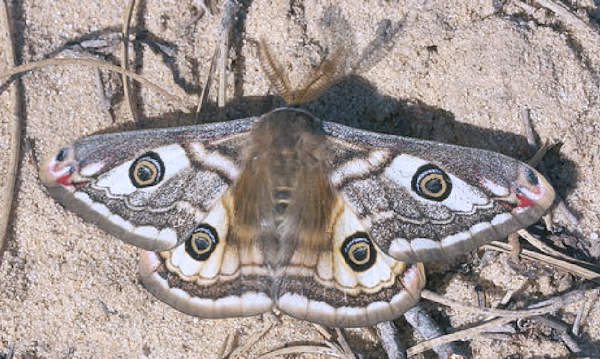 Paler than Saturnia pavonia, with most males lacking almost all brown and orange pigmentation so that they appear whitish-grey. 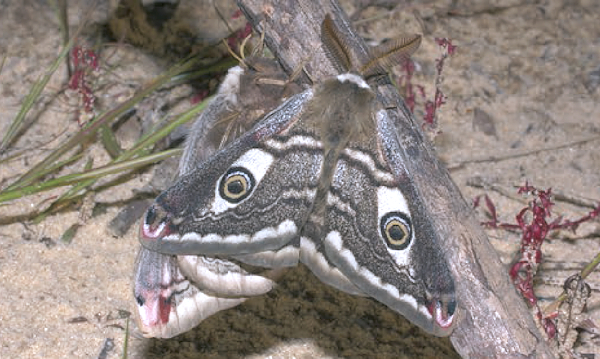 The females are more like those of Saturnia pavonia. 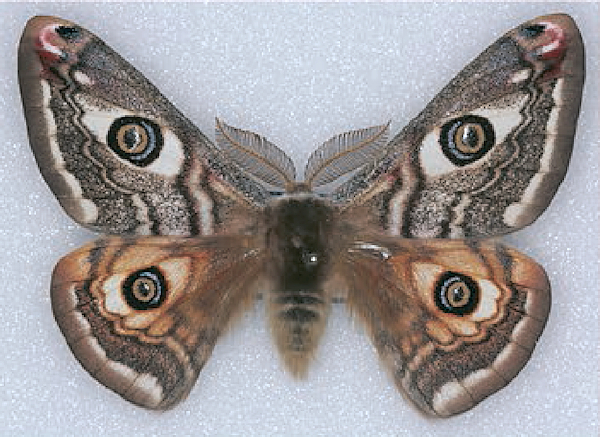 In males, body relatively smaller than in Saturnia pavonia, wing area larger, forewings more elongate, and the antennae more developed (Bruer, 2014). Females of Saturnia pavonia and Saturnia pavoniella freely attract and mate with males of this species (Bruer, 2014). 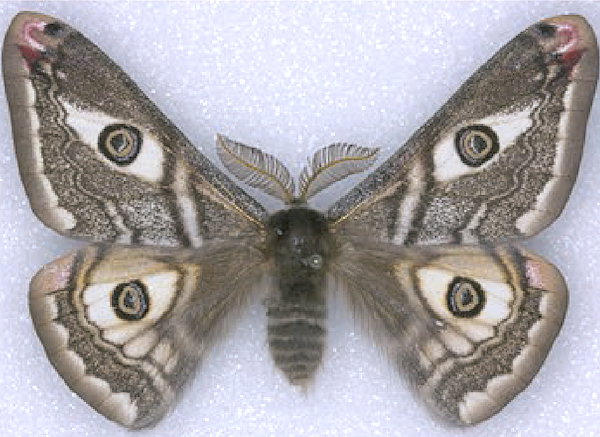 However, the mortality rate of female hybrid larvae is high and the F1 generation produces either all male moths and/or a few sterile females (Bruer, 2014). A local species of sandy pine-barrens near the coast where the main larval hostplant, Halimium halimifolium, is common (Bruer, 2014). Depending on the weather, from mid February to early April (Bruer, 2014). Very similar to those of Saturnia pavonia, with white, yellow or purple tubercles; however, the pale lateral line is bright white in this species. Hostplants. Shows a preference for species of shrubby rock-rose, e.g. 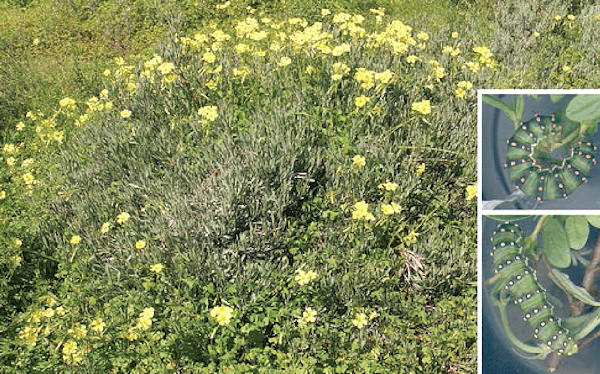 Halimium halimifolium and Cistus salviifolius (Bruer, 2014). PUPA: Very similar to that of Saturnia pavonia. This species has a very restricted distribution in southern Spain, being confined to coastal areas on the Atlantic coast of Andalusia between Isla Cristina and Tarifa, with this distribution extending only about 35 km inland (Bruer, 2014). Records from Algeria appear to be erroneous; however, there is a specimen in the British Museum of Natural History (NHMUK) from the Atlas Mountains of Morocco, so this species may yet be confirmed from Algeria.